Celebrating its special sixth year, the multi-award winning Festival No.6 has today announced more details of the arts and culture programme. This includes Irvine Welsh discussing Trainspotting, and Acid House, Kevin Allen on ‘Tin Town’ (the eagerly awaited sequel to ‘Twin Town’), iconic French musician Jean-Claude Vannier rescoring Serge Gainsbourg (live), the brilliant Maxine Peake curating her own stage – Peaky’s Parlour, Charlotte Church, Goldie, Steve Davis, Ian Martin, Diane Morgan, Simon Armitage, and many more in conversation, and of course the return of No.6 favourites, The Brythoniaid Welsh Male Voice Choir. 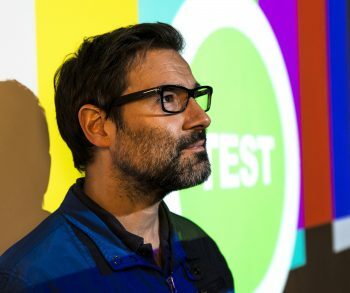 The festival has also unveiled their comedy bill including Adam Buxton, Irish stand-up, musician and playwright David O’Doherty, panellist Henning Wehn, sketch-show act Cardinal Burns, comedian, actor and broadcaster Nish Kumar, Phil Kaye, Lolly Adefope and many more. Spectacles abound for No.6’s anniversary celebration year, including the return of Heliosphere that stunned crowds in its inaugural year. 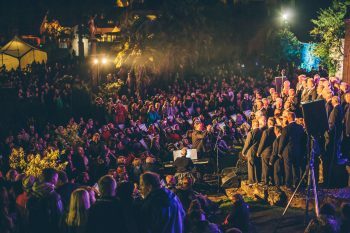 Plus the magical torchlit procession, which all festival-goers are invited to be part of, and is a perennial highlight of the festival. There is also a special Saturday Night Spectacle still to be revealed in the coming months. To mark the 50th anniversary of the original summer of love and one of the world’s most influential albums, the Sgt. Peppers-themed Carnival No.6, (Being For The Benefit of Mr. Kite) will weave its way through the village to the main stage in time for the 70-piece Royal Liverpool Philharmonic Orchestra, and The Bootleg Beatles amazing performance of Sgt. Pepper in full. Festival-goers are encouraged to bring their own Sgt. Pepper themed costumes and join the carnival. Festival No.6 is also the only festival in the country to have been chosen to host part of the official Commonwealth Games Queen’s Baton Relay Procession. The baton will make its way through the village and festival on Friday afternoon, on its long journey to the Gold Coast of Australia. There will also be a special Tony Wilson tribute to mark 10 years since the death of the Factory Records supremo, with special guests including Paul Morley, whose eagerly awaited book on Wilson is published later this year. Delia Derbyshire Day will mark the 80th anniversary of the electronic pioneer with talks and live performances, and Ros Wynne Jones will talk about retracing George Orwell’s The Road to Wigan Pier, 80 years on. The brilliant poetry line-up includes the Simon Armitage; current Oxford University Professor of Poetry, also Hollie McNish, No.6 favourite Luke Wright, Salena Godden, Jack Monroe, Rosy Carrick, Tongue Fu, Rob Auton, and Harry Baker. The No.6 Academy returns, this year in partnership with Guardian Masterclasses providing free taster sessions of their popular classes, plus workshops on everything from festival photography to how to publish your first book. Tim Peaks Diner will be providing everything from Welsh language classes to Northern Soul dancing lessons with live Northern Soul brass. There will be further talks from Faber Social, Salon No.6, Heavenly Films, and Unbound. This remarkable arts and culture programme joins an already impressive music bill featuring headliners Mogwai, Bloc Party, and The Flaming Lips. With more incredible acts, DJs, happenings, activities, and installations still to be announced – this special sixth edition of Festival No.6 will truly be unmissable.